Glass came out in theaters this week and is the latest M. Night Shyamalan film in the Unbreakable universe. Ever since I saw Split, I’ve wanted to know how Shyamalan merges the two universes. 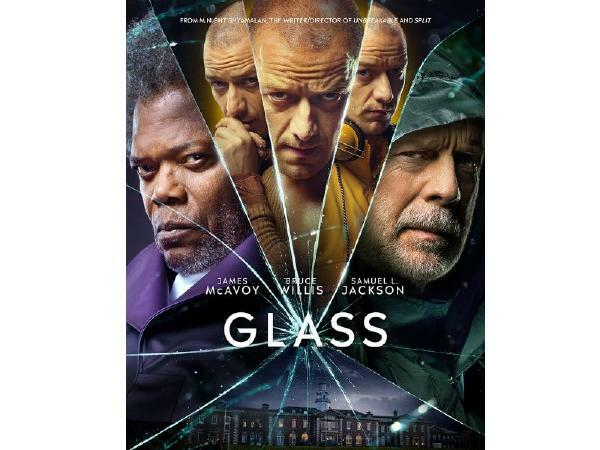 Despite being good, Glass never really lived up to my expectations. Just like in Split, James McEvoy is the highlight of the movie. The scene that stood out to me is when we see him constantly swap between multiple different personalities in one room. That right there was an acting masterclass. The range he managed to capture in this was sensational and it will be hard to top this as one of the best performances of the year. On the other hand, Bruce Willis disappointed me. He normally sleeps through most of his movies these days, but I was hoping this would be different. Unfortunately, his performance comes off as bland. It’s even more of a shame when you take into account that the script actually did a good job with David Dunn’s character. The actor just didn’t pull it off. I’ve always loved Sam Jackson as Elijah Price and he knocks it out of the park in the second half. He’s barely in it for the first half and has very little to actually do and that frustrated me. When he starts getting involved the story begins to pick up and the quality of the film elevates. Until the third act. That’s when the film begins to fall apart. Just like in so many of his other movies, Shyamalan probably felt pressured to put in a twist and it doesn’t work here. The final act was messy and a lot of things felt way too convenient. This isn’t Lady in the Water or The Village bad, but it definitely felt forced and ruined the impact of the film. Where the film really thrived the most is the second act. It was during this point that it felt the most like Unbreakable and took time to explore the characters and what they were going through. I would say that the first act was also great but I have a nitpick with it. There’s one cameo in the store that felt unbelievably forced and completely took me out of the film. One of the aspects that I was very mixed on was the camera work. At times, it worked really well. The upside down shots and close ups were great and extremely effective in the scenes they were in. However, there were points where the camera began to shake unnecessarily and it became frustrating to watch. Similarly, the action in Glass was very hit and miss. One of the action set pieces that looked beautiful was when it was happening in the background. The ones that were hard to follow took place between the same set of characters and the way they were shot was the biggest issue I had. One of my favorite parts about Unbreakable is the score. Glass does have some aspects of what made the score great but it never really lives up to Unbreakable. Although, it didn’t really have to as not many movies do. The score was effective and did everything that it had to do. Anya Taylor-Joy is an actress who has tons of potential. She was great in The Witch and in Split. In Glass, she felt wasted in a poorly written subplot. She does nail the very little she has to do but she felt tacked on and unnecessary to the plot. Overall, Glass is a good movie powered by some brilliant performances. It never quite lived up to the previous films and a lot of that had to do with a messy third act filled with pointless twists that had no real impact. It was good but frankly, I’m disappointed.